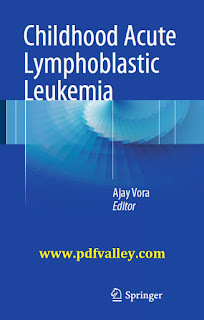 You can download Childhood Acute Lymphoblastic Leukemia by Ajay Vora free in pdf format. This book provides a comprehensive and up-to-date review of all aspects of childhood Acute Lymphoblastic Leukemia, from basic biology to supportive care. It offers new insights into the genetic pre-disposition to the condition and discusses how response to early therapy and its basic biology are utilized to develop new prognostic stratification systems and target therapy. Readers will learn about current treatment and outcomes, such as immunotherapy and targeted therapy approaches. Supportive care and management of the condition in resource poor countries are also discussed in detail. This is an indispensable guide for research and laboratory scientists, pediatric hematologists as well as specialist nurses involved in the care of childhood leukemia.